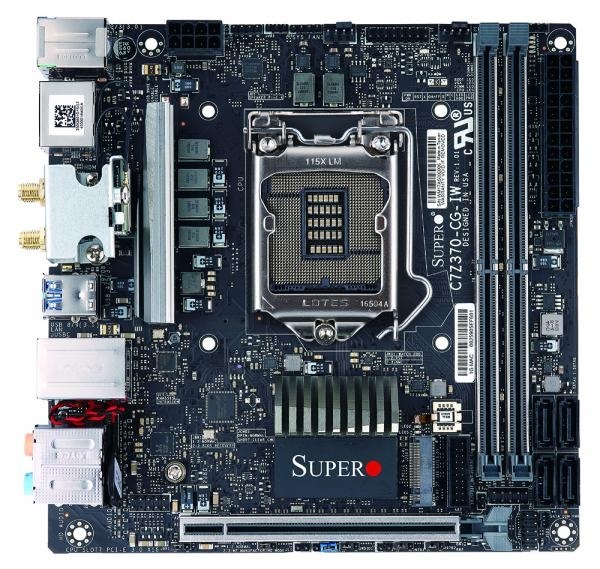 It’s my second Supermicro motherboard review and I’m just curious what improvements were made in new motherboard series. Supermicro is not for a long time on the gaming motherboards market but is quite old high quality, server components manufacturer. As we remember from previous review, Supermicro combines server quality with gaming features what gives users unique products. 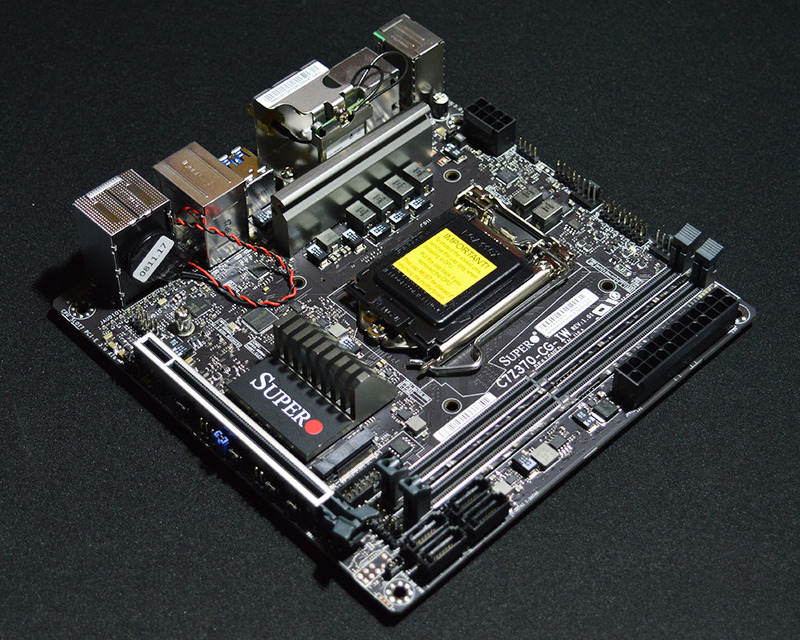 This time we will present first Supermicro gaming motherboard in mini ITX format. 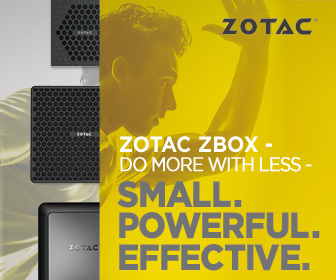 Sounds perfect for small, yet powerful gaming computer. Let’s begin with short product introduction and general specification. SUPERO has made its very first mini-ITX form factor motherboard loaded with features that all gamers and enthusiasts would enjoy in a small, portable package. This beast of a motherboard lets you build the most extreme gaming system anywhere with its vast connectivity options and has the power to take on any computing task with Intel’s latest 8th generation Core processors! Don’t forget the customizable RGB LED options you have for this board so you can light up your system to get that flare from the inside out. Scroll down to see more features. SUPERO motherboards are designed and tested similar to our world famous server motherboards. We continuously stress, tweak, restress, and retweak our products to be the most stable and power efficient giving you superior performance with the least heat generated. Using only the highest quality components such as our epoxy glass resin PCB, digital PWMs, Dr. MOS, and ferrite chokes you’ll know that your motherboard is top of the line. With our latest 2nd generation SUPERO Booster you’ll be able to light up your world with the customizable RGB LEDs built into the motherboard. You’ll have different series of patterns such as alarm, breathing, meteor, and rainbow fully adjustable speeds as well. You’ll stand out from the crowd and outshine the competition with our latest C7Z370-CG-IW motherboard! Storage speeds have come a long way in the hardware industry. Mechanical drives are still being used and for those who wanted a boost upgraded to solid state drives. Now we have PCI-E M.2 the latest in storage technology with speeds not only surpassing double the speeds of a standard SATA 3.0 mechanical drive, but upwards of up to 3-5 times faster overall. When coupling in RAID 0 you’ll have exceptional performance. Latency is improved immensely up to 10x more efficiently and 8-10x faster data transfer speeds. What more can you ask for? Running the latest Intel’s CPU you’ll want to use the best monitor program for your SuperO motherboard. The SuperO Booster lets you sit in the driver seat to monitor, tweak, and fine tune every part of your overclocking adventure. You’ll be able to adjust CPU and memory speeds, voltages, and fan speeds on the fly and that isn’t all. We have now included Load Line Calibration, multiple overclocking profiles giving you the ability to toggle different configurations on the fly, and a Fast Boot Option which allows you to boot into Windows 10 at a much higher speed while using a SSD. Using the latest 802.11ac wireless technology and Intel’s i219V gigabit Ethernet controller you’ll be able to run your system at home and at any LAN party. In addition to internet connectivity we have included a range of USB 3.1, 3.0, and 2.0 ports for all your devices. Additional displays for your system? No problem! We have included both HDMI and DisplayPort outputs for you to maximize efficiency for your setup!